Prepare yourself, because today we’re going to focus on the best thing that we have in the world, children! 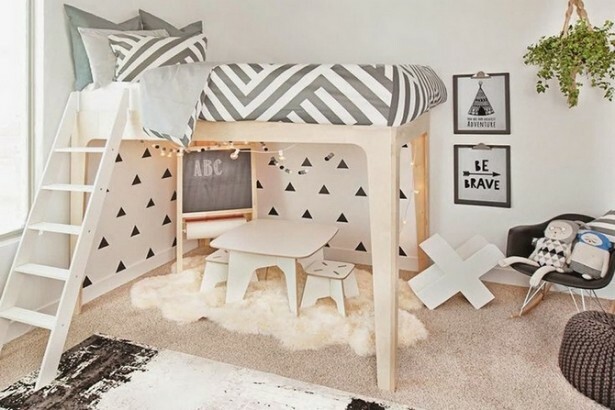 So we’re going to present you the best industrial bedroom for kids! They deserve the best that the world can give them so, let’s get started with the perfect bedroom? 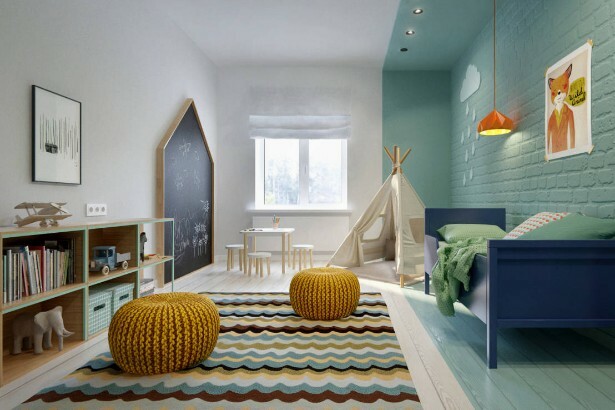 This colorful and industrial kids room featured some round seats, a pale green bricked wall, a blue bed and an outstanding suspension lamp. 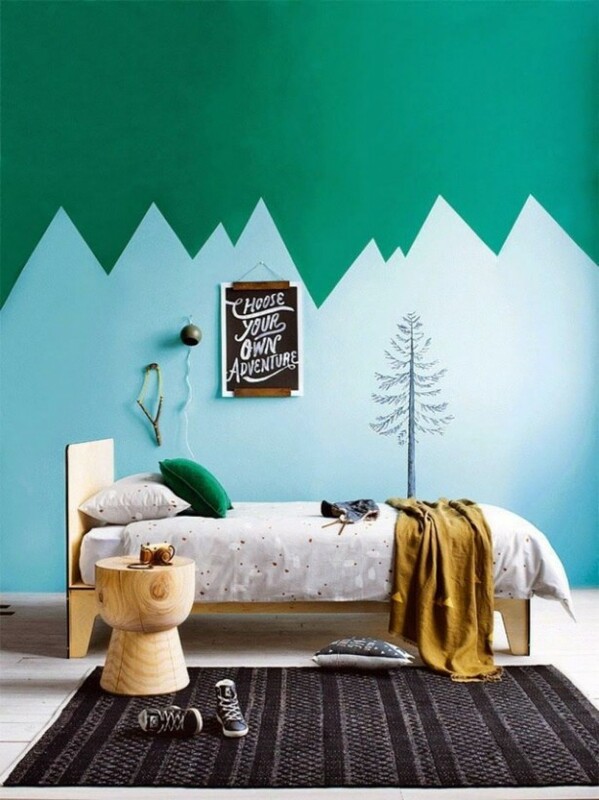 You can also put a map in your kid’s room in order to make him a geography master! Black and white bedroom with a wooden bed! A pure reflection of good taste! 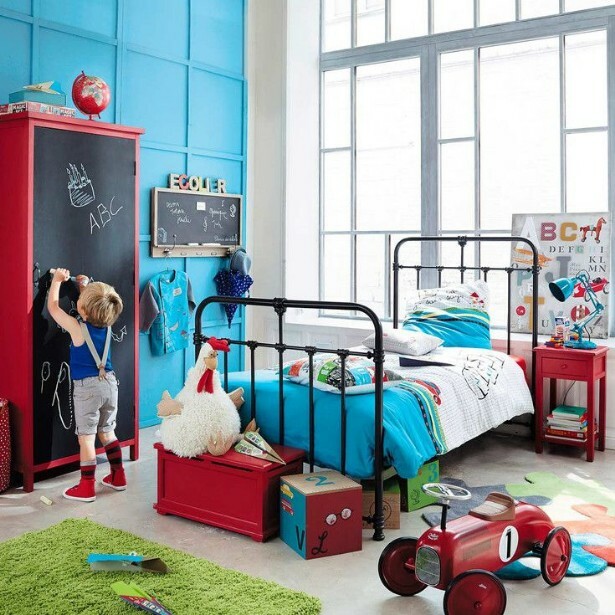 Do you think that an industrial style theme does not play perfectly with a children’s room? Well, this one will change your mind! It certainly looks welcoming. 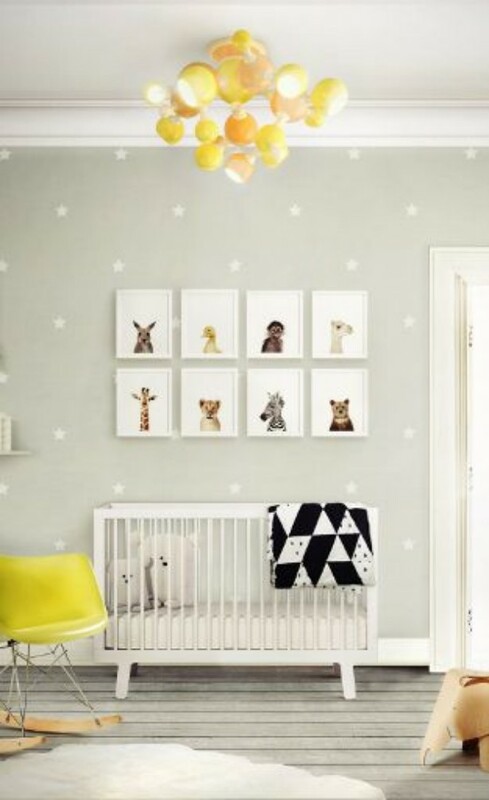 Get a colorful armchair and ceiling lamp to your children’s room, like the yellow one in the image. Just a perfect industrial style lighting! 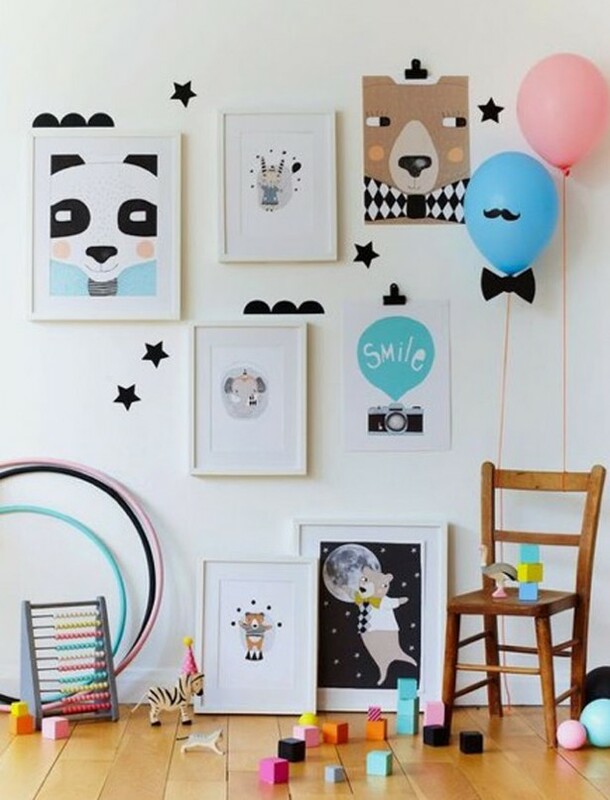 Wall decorations: get a colorful and happy wall gallery. Colorful walls are obligatory! 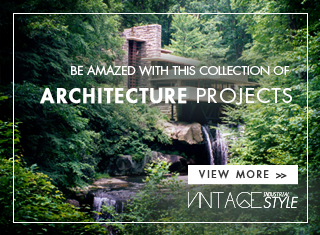 What a industrial design! 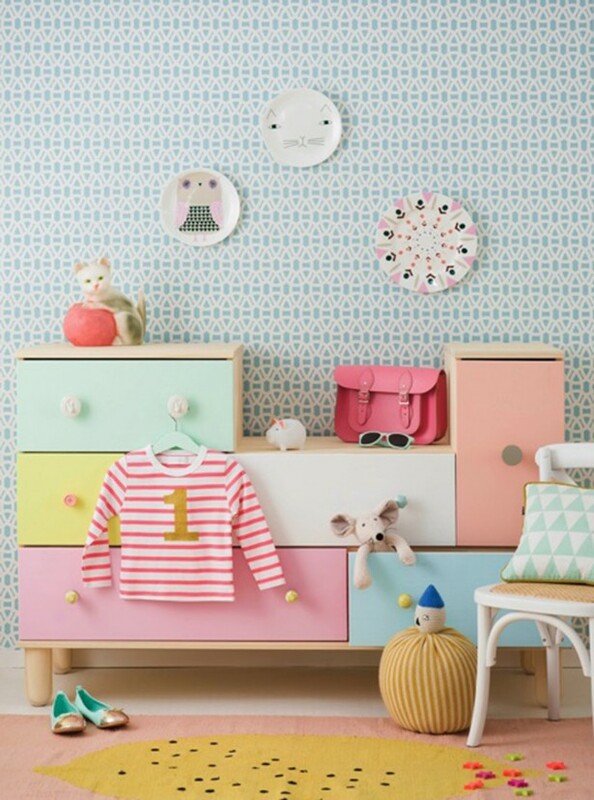 Drawers do not need to be boring: painting them. 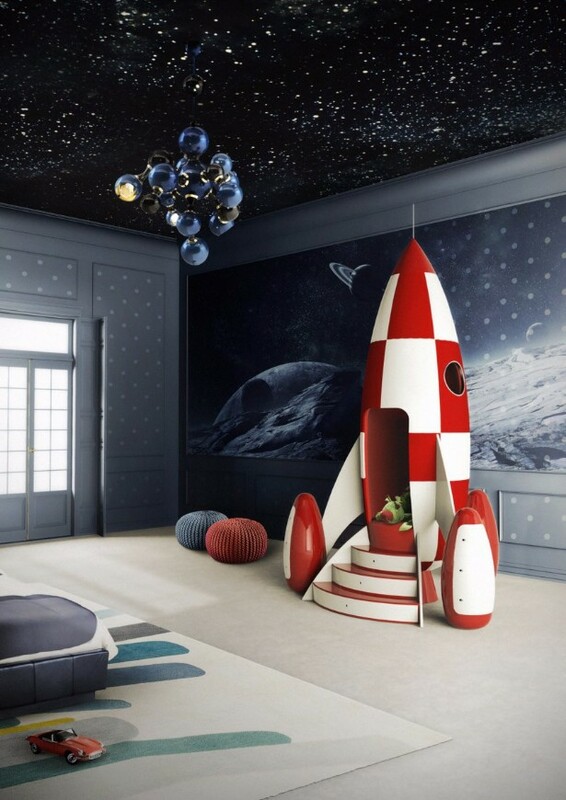 Don’t you believe your son would love to have a rocket in his bedroom? 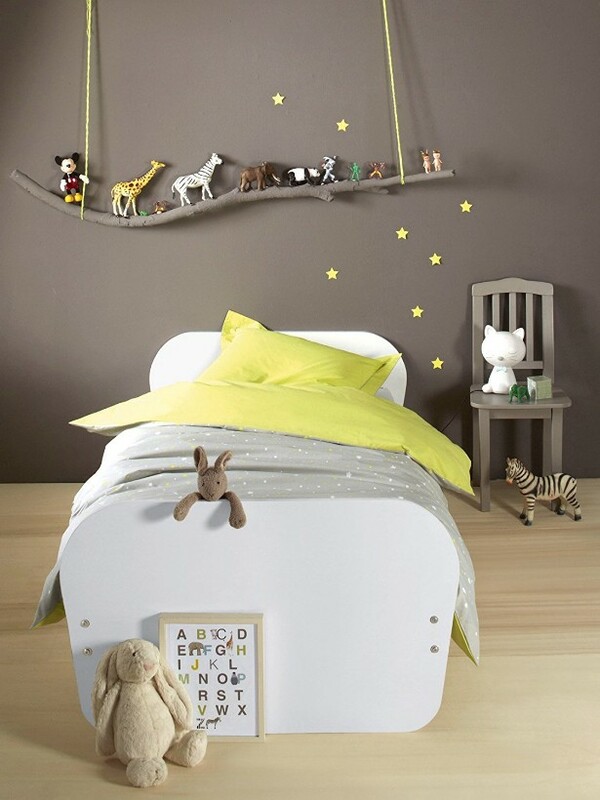 If your baby is crazy about animals, you can use this as a decor theme. 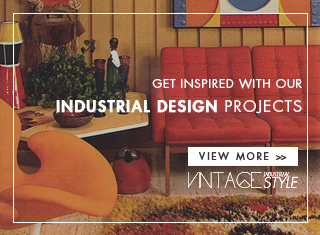 Hope you liked our vintage industrial style ideas!